Lanvin's Fall 2011 collection was the perfect balance of femininity and modern edge due in large part to the bold jewelry accompanying these minimal yet romantic looks. 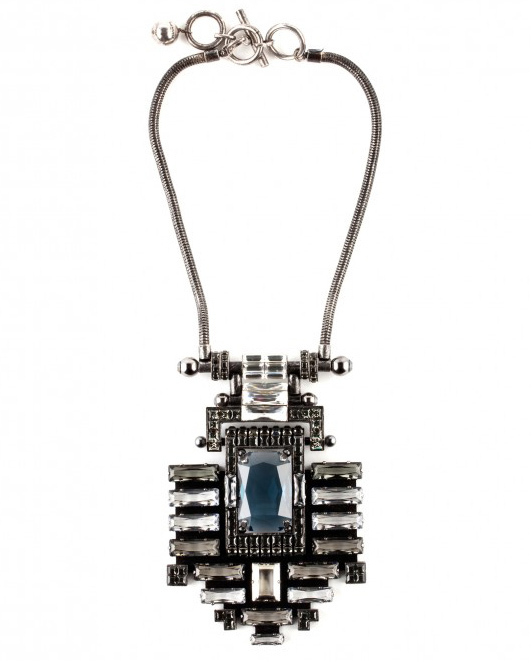 This architectural design is one of our favorites from the Fall 2011 collection. It will set you back $2,975, but it's worth every penny! View Lanvin's full jewelry collection here!